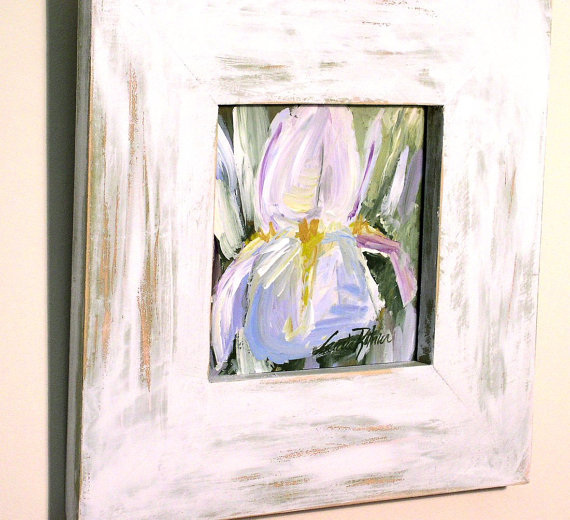 Painted Furniture Wall Art Original Acrylic Shabby Chic Painted Farmhouse Cottage Garden Iris Painting by Laurie Rohner. 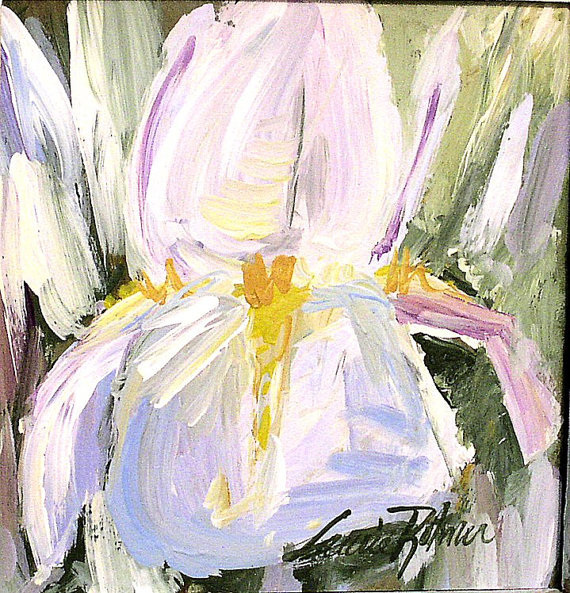 Painted Furniture Wall Art Original Acrylic Shabby Chic Farmhouse Cottage Garden Iris Painting by Laurie Rohner. 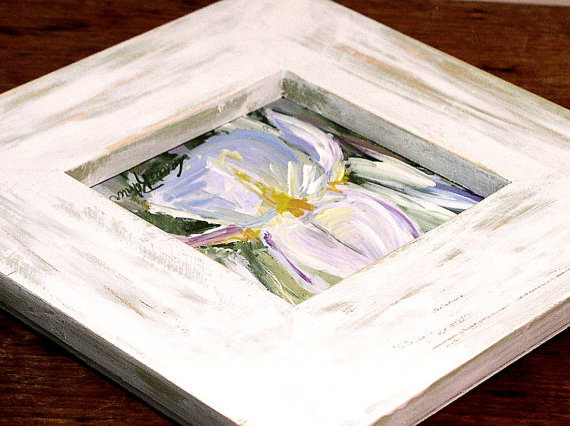 Shabby chic painted farmhouse original painting of a cottage garden iris is framed in a distressed shabby chic cottage hand crafted frame. It is ready to hang wall art. Original artwork by Laurie Rohner. A shabby style garden cottage iris is painted with shades of blues, greens, lavenders and yellows and framed in this wonderful shabby chic frame completes your cottage home. Can you feel the romance in the air? A terrific wedding, birthday, house warming or hostess gift is guaranteed success. The iris is an acrylic painting on a 5" square panel. The overall size is 10" x 10" square is ready to hang. These are my original designs and I hand paint each piece after which I add my signature ink line. A great value for an original piece of artwork. Be sure to check out my watercolor oil and acrylic paintings at Laurie Rohner Studio.